You know how you go to the store for one thing and end up with fifteen? Or maybe when you go to the store and buy something, but while you’re there, you drool over something else? Zippy is a little like that. We’ve made some pig purchases in the last year. Four of the pigs we’ve bought came from the same farm in Montana. We got a call from the farm, letting us know that they were trimming down and had more pigs for sale. I asked about a calf I had seen. And discussed with the wife several times. I had crossed cows off my animals to have list. They take a lot of feed and can be pretty hard on the land. They can also be intimidating. 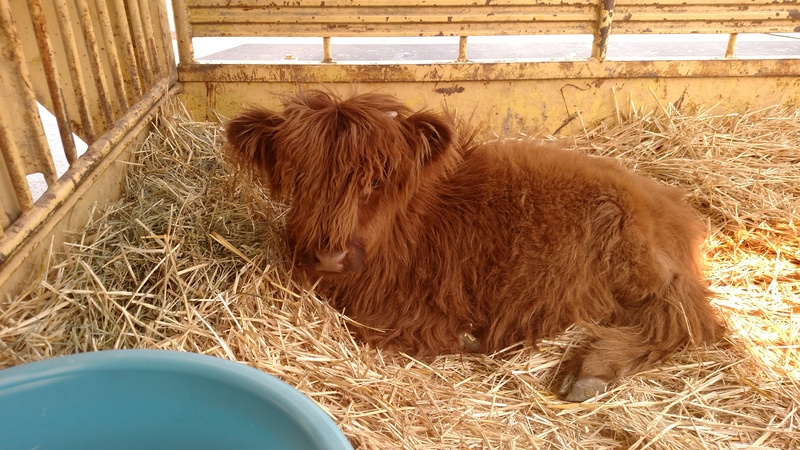 Scottish Highland cattle are different. They don’t get very big. They were bred to survive on scrub brush. Plus they are cute. Very cute. I thought Zippy might be a good mascot for the farm. So, Zippy ended up in my trailer. Here he is a day or two after he arrived. Apparently he doesn’t need to be halter trained. 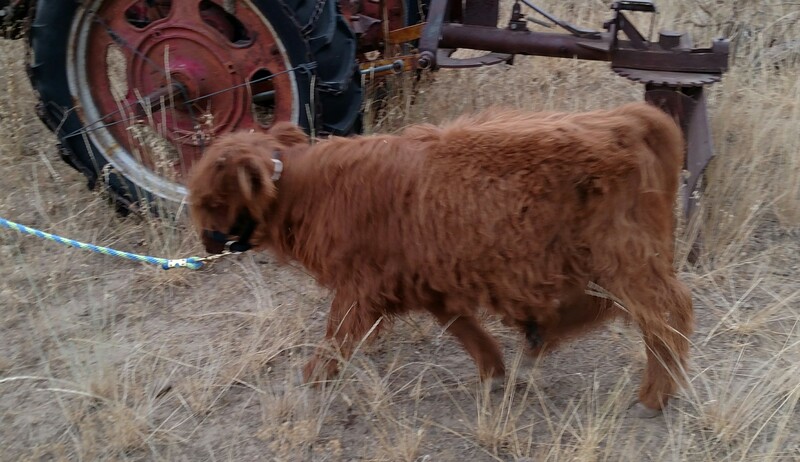 This entry was posted in Livestock, Poultry and Creatures Tame and Wild and tagged scottish highland by admin. Bookmark the permalink.